VIPAccessEXCLUSIVE: Abraham Mateo Interview With Alexisjoyvipaccess At The 2017 Latin American Music Awards! He’s a music phenomenon and a total heart-throb, he’s the one and only, Abraham Mateo! The remarkable Abraham Mateo has truly established himself as an icon in the music world. He has brought out a countless amount of incredible songs including “Loco Enamorado,” “Mueve,” “Mi Vecina,” “All The Girls,” “Señorita,” and many others that we all love listening to 24/7. Abraham Mateo has mesmerized us all with his extraordinary, music projects. He has released four, spectacular albums that each have had record-breaking successes. All of Abraham Mateo’s songs rapidly skyrocket up the music charts and we love jamming out to all of his electrifying, danceable and energetic songs. We all get to look forward to even more musical masterpieces from the phenomenal Abraham Mateo as he recently announced that he has several collaborations with highly-acclaimed musicians including Jennifer Lopez, 50 Cent, and many others. He also has worked alongside other musicians including Farruko, Dvicio, CNCO, and more. Abraham Mateo never fails to surpass fans’ expectations with his incredible projects. It’s clear to see that Abraham Mateo was destined to make an everlasting mark in the entertainment world. His performances are always out of this world and he brings his fantastic personality and awesome stage presence to every one of his shows. Abraham Mateo has traveled around the world leaving everyone speechless with his exceptional performances. Abraham Mateo can’t be beat and he is a respected musician who causes pandemonium anywhere and everywhere he goes. Abraham Mateo has one of the most dedicated fanbases and someone as hard-working and genuinely talented as he is truly deserves all of the support. Abraham Mateo is a household name and he definitely is a legend. 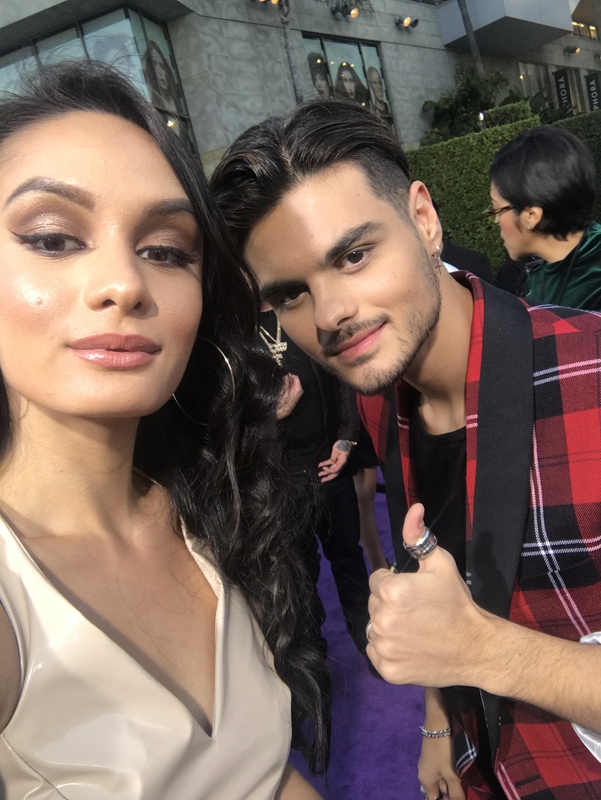 I, Alexisjoyvipaccess had the honor of covering the 2017 Latin American Music Awards and had a wonderful time interviewing the magnificent Abraham Mateo at the event. Abraham Mateo dished exclusively to Alexisjoyvipaccess all about what his favorite song is to perform in front of all of his fans, what are some other exciting, upcoming projects that he is working on that fans can look forward to, and so much more only in our VIPAccessEXCLUSIVE interview. Abraham Mateo even revealed what some of his pre-show rituals are and who his good-luck charm is – hear what he had to say in our VIPAccessEXCLUSIVE interview below. Thanks for the amazing interview, Abraham! Check out my VIPAccessEXCLUSIVE interview with the prolific and profound musician, Abraham Mateo at the 2017 Latin American Music Awards below! Previous VIPAccessEXCLUSIVE: Angeles Interview With Alexisjoyvipaccess At The 2017 Latin American Music Awards Rehearsals! Next VIPAccessEXCLUSIVE: In Real Life Interview With Alexisjoyvipaccess At The 2017 Latin American Music Awards!